Get your taxes done right and claim your maximum refund! There are IRS-certified volunteers ready to help you file your taxes at over 200 free tax sites across Minnesota. The Claim it! campaign can help you locate a free tax site and see if you’re eligible to claim tax credits: www.youclaimit.org. Combining the power of caring volunteers, training, and expert advice, Prepare + Prosper (P+P) makes financial wellness easier. P+P is a local nonprofit organization that provides free tax preparation and financial services, coaching, and products to individuals and families. IRS-certified volunteers will get you the maximum refund this tax season (January 26 – April 15). They are based in St. Paul year-round and operate nine free tax sites. Seewww.prepareandprosper.org for list of locations, eligibility requirements, and what to bring. Advanced mobility: Technology is changing the way we travel. The advanced mobility topic will explore how we can integrate technology and new options to reach our transportation goals. Scooters, shared bicycles, and electric vehicles are examples of new mobility options. Pedestrian: The plan will identify actions to make it easier, safer, and more comfortable for people to get around. Bicycle: With an emphasis on establishing a low stress bikeway network for all ages and abilities, we will develop strategies to make biking a choice for more people, as well as improving safety and comfort for those who ride. Transit: A quarter-million transit trips begin, end or travel through Minneapolis each weekday. Transit is a critical part of the city’s transportation network. The transit topic will outline strategies and actions to support a reliable, convenient and comfortable public transit network as part of a broad effort to reach our transportation and climate change goals. Freight: The freight topic will focus on how packages are delivered to people and businesses every day in our city. We will develop strategies and actions to improve the sustainable and efficient movement of freight to, from and through Minneapolis. Street Operations: Our streets need to function efficiently for everyone who travels. The street operations topic will further define how the City’s Complete Streets Policy, commitment to Vision Zero, and climate action goals come together into daily operations and system planning. It will provide a framework for evaluating competing demands within limited street space; achieving this balance will take a comprehensive, people first approach. Street Design: The new street design guide will emphasize the many ways our streets serve people. Streets are important public spaces where we live, travel, shop, wait for the bus, or just hang out every day. We aim to design, build, and maintain streets that are safe, functional, and support the movement of people and goods throughout the city. Check out the new Minneapolis Transportation Action Plan website to learn more and provide feedback. Use #gompls to talk transportation and follow the City of Minneapolis on Facebook, Twitter, and Instagram. Sidewalks are a critical part of Minneapolis’ transportation system and they should be open for everyone. With the snow season upon us, here’s a refresher on the City’s rules. Minneapolis ordinance requires property owners of houses and duplexes to clear sidewalks within 24 hours after a snowfall and all other property owners must clear their sidewalks within four daytime hours. Clearing snow and ice from sidewalks helps people of all ages and abilities safely walk or roll to where they need to go. This is a primary mode of transportation for many people in the city so it’s important to be a good neighbor and help them out. In addition to relying on complaints reported to 311, this season City inspectors will also be out in neighborhoods actively looking for sidewalks that aren’t shoveled. Failure to shovel and maintain your sidewalk could result in a warning letter and, if left uncleared, a bill for the City to remove snow from your sidewalk. An average bill is approximately $150. People should call 311 to learn more about resources available to people who may need help clearing their sidewalks. Several nonprofit organizations are ready to provide for-hire services or provide help when the snow falls. Informative videos in English, Spanish, Somali and Hmong are available online to help explain what property owners need to do when it snows. Find more information at www.minneapolismn.gov/snow/shovel. The City Council has approved expanding an innovative strategy to preserve naturally occurring affordable housing in Minneapolis by helping property owners obtain property tax reductions for agreeing to keep a portion of rental units affordable. Property owners of all buildings or tax parcels with two or more units are eligible to participate. The expanded Minneapolis 4d Affordable Housing Incentive Program follows on the heels of a successful 4d pilot program that launched in May. As part of the pilot, property owners committed to preserving 207 units of affordable housing through 10-year affordability commitments. The expanded 4d program has the potential to preserve 700 or more additional units of naturally occurring affordable housing in 2019. Participants in the Minneapolis 4d Affordable Housing Incentive Program agree to keep a minimum of 20 percent of units per building affordable to households making 60 percent of the area median income for 10 years. The qualifying units are eligible for a 40 percent reduction in property taxes. In addition to reduced property taxes, program participants benefit from payment of the first year State of Minnesota application fee for certification of the 4d property tax classification; a $100 grant per affordable unit (capped at $1,000 per property); free or low-cost energy assessments; and City cost sharing for solar energy installations and energy efficiency improvements. Owners of market-rate multifamily properties with two or more units are eligible to apply. At least 20 percent of the property’s rental units must be affordable to households making 60 percent of the Area Median Income (AMI). For more eligibility requirements, visit the program website www.minneapolismn.gov/4d. Applications can be made online. The application deadline is Feb. 12, 2019. Contact Dean Porter-Nelson atdean.porter-nelson@minneapolismn.gov or 612-673-5237 for additional information. There are two upcoming opportunities to weigh in on the Neighborhoods 2020 Work Group recommendations. During the first week of December there will be five community meetings. These meetings are open to anyone interested. Work Group members are invited to listen to questions, comments, and concerns from residents. Attend one or all. Please spread the word. Individual Work Groups will reconvene one last time to finalize their recommendations the week of December 12th. The next opportunity to weigh in will be during the 45-day public comment period once the final recommendations are released. The final recommendations will be released in January 2019. Help us spread the word about the upcoming community meetings by downloading and sharing the flier. If you wish to discuss Neighborhoods 2020 please feel free to email Steve Gallagher at steven.gallagher@minneapolismn.gov or 612.673.2905. Thank you to our Indeed Volunteers! 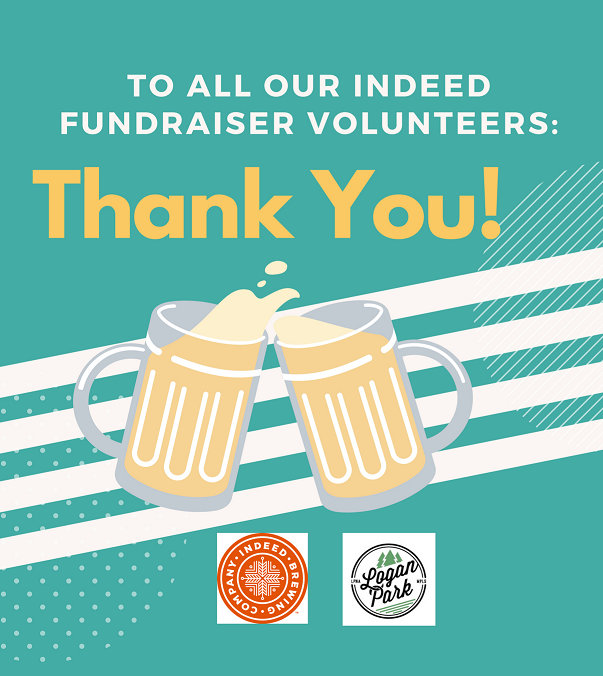 Thank you to all those that volunteered at our Indeed fundraiser! And thank you to everyone who attended and joined us for bingo! The City of Minneapolis has released the final draft of its 2040 Comprehensive Plan, a document that will guide equitable growth in the city over the next 20 years. Over the past two years, they have been to every corner of the city, meeting with a diverse range of residents to hear our vision for our city. They heard that people want to reduce disparities, provide access to affordable housing and living-wage jobs, create a sustainable community, and remain a health and diverse economic center. Over the four-month public comment period on the initial draft, the City received more than 10,000 comments, and planning staff read every single one. We encourage you to review the final draft at Minneapolis2040.com. They have provided an executive summary as well as a marked-up version of the plan so that you can easily see what was changed. You still have time to share your feedback on the final draft. Public comments can be submitted to the Planning Commission and City Council online at minneapolis2040.com. The Planning Commission will hold a public hearing on October 29, and the City Council will also hold a public hearing the week of Nov. 12. The City Council is expected to vote on the Comprehensive Plan in December before submitting the plan to the Metropolitan Council. Thanks to all who attended the recent First Ward Forum on the topic of financing community solar projects and special thanks to guest speakers Mark Russ, the City of Minneapolis CFO, and Andy Stahlman from IPS Solar. For more information about this engaged discussion, visithttp://www.minneapolismn.gov/www/groups/public/documents/agenda/wcmsp-213755.pdf. This event was only the latest in an ongoing discussion about the feasibility of a community solar project right here in Ward One. Watch future newsletters for announcements about upcoming meetings. September marks the beginning of budget season for the City of Minneapolis. Mayor Frey presented his proposed 2019 budget on August 15 and you can read it in its entirety by clicking HERE. Over the next two months I and my Council colleagues will be hearing presentations from various departments about the specifics of their budget requests. These presentations are open to the public and are also available on the City’s cable access channel. Visit http://www.minneapolismn.gov/budget/budget-calendar for a calendar of these presentations. These presentations are illuminating, offering an important glimpse into each department’s accomplishments, goals and priorities, and I encourage you to watch them to learn more about the work of your tax dollars. There will be three opportunities for public comment to the Council on the budget in November and December, before final budget adoption on December 5. You don’t need to wait, however, to offer me your input on priorities for our tax dollars, so feel free to reach out at any time by email, letter, phone or at one of my community events. How do you travel around Minneapolis? The City wants to know and encourages you to take part in an online survey. Share your current travel habits and thoughts on what improvements could be made to the city’s transportation options and infrastructure. You can also enter to win one of two $25 gift cards if you complete the survey. Public Works will use the information as it drafts the City’s Transportation Action Plan, which will guide City priorities for transportation projects and policies over the next 10 years. Over the next year, Public Works will work with the community to develop and gather feedback on the draft of the Transportation Action Plan. In fall 2019, Public Works will present the Transportation Action Plan to the City Council for approval. Current work on the Transportation Action Plan will also identify specific actions for the City to take toward transportation goals and policies outlined in Minneapolis 2040, the City’s draft comprehensive plan. The City Council will vote on Minneapolis 2040 by the end of the year. Work on the Transportation Action Plan will also support the City’s Complete Streets Policy, Vision Zero commitment, Climate Action Plan goals and commitment to equity. To take the survey, learn more about the plan and review the draft community engagement plan, go to minneapolismn.gov/gompls. Mayor Jacob Frey has presented his recommended 2019 City budget to City leaders – a budget that includes a significant increase in funding for affordable housing programs. The City Council will begin reviewing the recommended $1.55 billion budget, hold a series of budget presentations in September and October, and vote on adopting a budget Dec. 5. The Board of Estimate and Taxation is scheduled to hold a public hearing to set the maximum property tax levy at 5:05 p.m. Wednesday, Sept. 12. The recommended budget includes a 5.63 percent tax levy increase. The City’s revenues come from a variety of sources with property taxes accounting for about 23 percent of the budget. The City’s tax base has increased by more than 10 percent between 2018 and 2019 and the proposed levy increase is less than 6 percent, resulting in the overall tax rate going down. $40 million in City funding for affordable housing programs, including $21.6 million for the Affordable Housing Trust Fund. A $660,000 investment in the Group Violence Intervention program led by the Health Department,which brings law enforcement and social service providers together with youths to help find a positive path away from gun violence. $350,000 toward ensuring an accurate count for the 2020 Census. $500,000 for Village Trust, the state’s only black-owned cooperative and community development institution in Minnesota. $4.4 million to repair defective or hazardous sidewalks. Visit the City’s budget website to review the 2019 recommended budget, learn about key dates in the approval process and watch a video about how you can provide feedback on the proposed budget. The public comment period for feedback on the City of Minneapolis’ draft comprehensive plan officially closed July 23, and since then City staff have been diligently reviewing more than 10,000 comments from Minneapolis residents. These comments will inform changes and updates to the draft plan, and the Minneapolis Planning Commission and the City Council will consider the new draft in September. A wide spectrum of ideas on land use, density, affordable housing and community growth. The need to coordinate educational/professional training programs with the City’s goals (e.g., green building, preservation). The need to provide more support to small businesses, especially in vulnerable areas, to avoid displacement. The need for multi-generational housing that allows residents with strong ties to a neighborhood to stay in that neighborhood throughout their lives. The importance of supporting residents who want to improve the public realm in their neighborhoods. The importance of strengthening relationships between jurisdictions, such as those between City and County, City and school district, City and nonprofit sectors, to do the work outlined in the comprehensive plan. More comments and feedback can be found here. The Metropolitan Land Planning Act requires municipalities in the Twin Cities area to provide the Metropolitan Council with updated comprehensive plans every 10 years. It must be consistent with the Metropolitan Council’s regional development guide, Thrive MSP 2040, that sets the direction for the region’s growth and development. The City Council has approved a license agreement for shared motorized foot scooter operators as part of a pilot program through Nov. 30, 2018. Under the pilot program, the number of scooters allowed in the city is capped at 200 during the first two months of the pilot and increases to 400 in October and November. The City can increase or decrease that number any time during the pilot. State law regulates how motorized foot scooters can be operated. A scooter may not be operated on a sidewalk, except to cross it. Scooters may be operated on a bicycle path, bicycle trail, bicycle lane or bikeway unless it is signed otherwise. Scooters must be ridden as close as is practical to the right-hand side of the road, and must follow the same traffic laws as bicyclists. Also, scooter operators may not carry passengers. Shared motorized foot scooters may be parked on sidewalks in the city if they are not blocking pedestrian travel or access. Scooters should be parked upright using the kickstand when not in use. The City will use data throughout the pilot program to evaluate scooters’ impact on the right of way, user riding and parking behavior, equitable distribution and access, among other things. During and after the pilot program, City staff will do analysis and determine the best framework for relaunching the scooters in the spring of 2019. For more information about motorized foot scooters, visit minneapolismn.gov/scooters or call 311. Saturday, September 15, 10 – 11:30 a.m., Northeast Library, 2200 Central Avenue NE. A workshop in collaboration with the Loft Literary Center to teach the ins and outs of creating memorable settings, developing an exciting plot and writing believable characters. Register at https://www.hclib.org/ or call 612-543-6775. Saturday, September 15, 11 a.m. – 2 p.m., Waite Park, 1810 – 34th Avenue NE. Watch the thrills of the derby and then stick around to enjoy food, music and games. My name is Jami Olson and I am one of the owners and the General Manager of Popol Vuh and Centro, a new restaurant opening in your neighborhood soon. We are located on the corner of Quincy Street and 15th Ave, directly across from Indeed Brewery. You maybe have been wondering what’s been going on with the building on that corner as we have been working on this project for over a year now. I apologize to keep you waiting and guessing for so long. We are excited to announce we are very close to having our doors open for you. counter-service with a full-service bar and a dog friendly patio. We will serve up Mexican street food at a friendly price. Tacos, churros, a raw bar, margaritas on tap, and a guava mezcal slushy are just a few of the menu items we’re excited to offer. We will have vinyl spinning on the record player and soccer on the televisions. Ask about our bunny mural on the wall when you stop in. Popol Vuh is our refined concept opening the end of July. Chef/owner Jose Alarcon has come up with a menu unlike anything you’ve experienced before in the city. Jose is from the state of Morelos in Mexico and his fresh, authentic, wood fired cooking will be the focus of the restaurant. We will also have a wine list featuring wines from around the world and finely crafted cocktails. We are very appreciative to be in such a wonderful area and we are looking forward to meeting you all. Popol Vuh and Centro is an independently ran restaurant led by a group of talented individuals who share a passion for food and community. Being friendly neighbors and maintaining a positive presence in the neighborhood is priority to all of us at Popol Vuh and Centro. Community-led event features a parade, award-winning performers, great local food and a return to the site of the first Freedom Day celebration in Minneapolis! Join us for Juneteenth – Celebrating Freedom Day on Saturday, June 16, at Bethune Park in North Minneapolis. The all-day celebration kicks off with a parade for everyone to join or watch, led by grand marshal Walter “Q-Bear” Banks of KMOJ. It begins at 9:45 am, heading south from the Minneapolis Public Schools parking lot (at North Girard and 21st avenues) to Bethune Park. From 11 am to 6 pm, enjoy great live local music, dance and other entertainment at the park, along with youth activities, a historical sharing area, and merchandise and food for purchase. Event details, a stage schedule and volunteer opportunities are available atwww.minneapolisparks.org/juneteenth. The Minneapolis Park and Recreation Board (MPRB) and the Juneteenth Legacy Committee host this day-long, community-led celebration. Bethune Park is the site of the first Freedom Day celebration in Minneapolis, led by two of its original founders, Michael Chaney and Spike Moss. Youth activities range from a bungee trampoline and bounce house to a bike rodeo (kids should bring their bikes and helmets), double Dutch and much more. More than three dozen vendors include eight food stands offering African fusion, collard green wraps, bean pies, ribs, tamales, tacos, hot dogs, ice cream and mini donuts. Don’t miss this family-friendly celebration! Also known as Freedom Day or Emancipation Day, Juneteenth is the oldest known celebration commemorating the ending of slavery in the United States. It is one of two freedom celebrations held throughout the United States; the Fourth of July is the other. 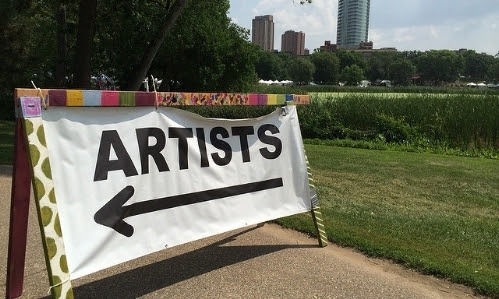 Welcome to the City of Minneapolis Arts, Culture and the Creative Economy program newsletter. Here you will find information on program and partner related news and updates, opportunities, events, and special announcements. Sign up for the Arts, Culture and the Creative Economy program newsletter at www.minneapolismn.gov/coordinator/arts. The National Endowment for the Arts (NEA) Our Town grant program supports creative placemaking projects that help to transform communities into lively, beautiful, and resilient places – achieving these community goals through strategies that incorporate arts, culture, and/or design. NEA Our Town Arts Place-Based Projects require two primary partners; a nonprofit organization and a local government entity. One of these two primary partners must be a cultural (arts or design) organization. Matching grants range from $25,000 to $200,000. Each local government — whether applying as the lead applicant or as the primary partner with a nonprofit organization — is limited to two (2) applications. Based on the NEA guidelines, the City of Minneapolis will select up to two (2) projects to apply for/partner with. E-mail your proposal to Sonya Lewis by 11:59 p.m. on July 10, 2018. Need help connecting with a City department to prepare a proposal for an application? Contact Gulgun Kayim, Director, Arts, Culture and the Creative Economy program, City of Minneapolis. Visit the Arts, Culture and Creative Economy website for the complete description of the City’s process to select partnership applications. Northern Spark Friday, June 15 – Saturday, June 16 – 9:02 p.m. – 2 a.m. This year Northern Spark is all weekend in downtown Minneapolis. Come for 1 (night) or come for all! Since 2011 we have collaborated with nearly 295 organizations and presented the work of over 1900 artists to make Northern Spark happen. In 2018 we are experimenting with a new model: a two-night festival that runs from sunset to 2ameach night. This shift is both experimental and practical. After the historic rains on festival night in 2014 and several subsequent years of barely dodging thunderstorms, the two-night model creates a built-in rain date. Two nights also gives more opportunity for audiences to fully experience the magic and connection of Northern Spark. Since 2006, FLOW Northside Arts Crawl has become both a community celebration and premier art event in North Minneapolis. FLOW is a non-juried, self-guided tour of studios, galleries, theaters, commercial and vacant spaces over a mile and half of the West Broadway corridor. From b-boys to ballet, graffiti to graphite, rap to rhapsody, fine artist to artisan, practicing to professional, FLOW showcases the great art being made every day on the Northside. FLOW is a program of the West Broadway Business and Area Coalition. FLOW Northside Arts Crawl: a three-day celebration of the arts in North Minneapolis, July 26-28, 2018. The event features 140 visual artists selling original work. July 28-29, 2018, Saturday 10am-6pm & Sunday 10am-5pm. has developed along Minneapolis streets. Did you know that elms once counted for more than nine of 10 street trees in the Twin Cities? It’s easy to understand elm appeal: streets lined with these trees, their branches arched high overhead, have been compared to cathedrals: sun-dappled green in summer; snow-frosted in winter. Elms also offered considerable environmental benefits by virtue of their sheer size, a situation that became all too apparent in the aftermath of Dutch elm disease (DED). 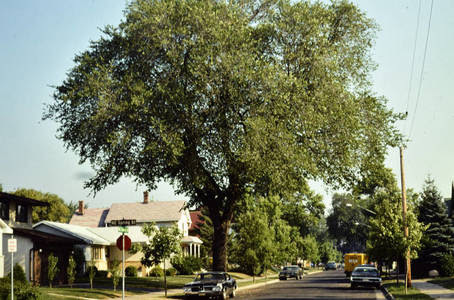 More than 400,000 elms resided in Minneapolis in 1963, when the first of them succumbed to the disease; more than half of those were public trees. The almost-total devastation unfolded over a couple of decades: In 1977 alone, some 31,475 public elms were tagged for removal because of DED. 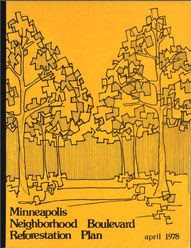 The Minneapolis Park and Recreation Board (MPRB), historic steward of the city’s street trees, was planting replacement trees by 1970. Its 1978 Minneapolis Boulevard Reforestation Plan provided neighborhood-based designs with several dozen tree types (species and cultivars) to replace lost elms. As most neighborhoods offered a virtually blank slate, the plan preserved the elm era’s consistent design aesthetic: A single type lined stretches of a neighborhood for five, 10 or even 15 blocks. Various types of ash, linden, honeylocust and maple tree categories (or genera) were the most popular, together making up over 70% of the street trees in the plan. This system of “designed diversity” carried Minneapolis into the 21st century, long enough for these trees to reach maturity. In 2009, the emerald ash borer (EAB) arrived in St. Paul, just seven years after its discovery in Michigan. EAB has caused far less devastation than DED (which took some four decades to reach the Twin Cities); still, the rapid infestation helped prompt a whole new approach tobuilding a better urban forest. MPRB’s current street-tree diversity guidelines differ dramatically from its 1978 reforestation plan. Thanks to the digital revolution, GIS mapping, advancements in urban forestry and its own ongoing trials, MPRB “prescribes” diversity based on a wide range of measurements, data and science-based decisions. 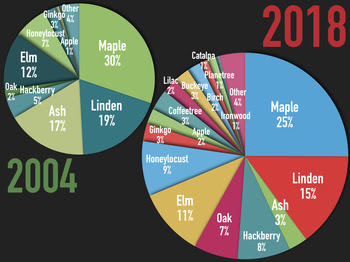 Citywide: The next generational leap in diversity means selecting hundreds of tree types from dozens of categories: oak, elm, locust, linden and more. Besides making for more colorful tree category charts, this wider range creates resilience against the next disease or invasive pest that may target a whole category. Block-by-block: At least three to five different tree categories are prescribed for an individual city block, which prevents a disease or pest from totally wiping out a large swath of trees. The bright side of blight: We might mourn those areas that lost stretches of exclusive, mature ash trees from the late ‘70s and ‘80s – just as the giant elms that preceded them were mourned by previous generations. But looking on the bright side, these places are also at the forefront of MPRB’s efforts to develop a healthy urban forest for the next century. For the season’s final update, we’ll share figures related to the trees planted and examples of places where the new, resilient urban forest is taking hold. Remember that a newly planted tree is a thirsty tree! Please water all trees, especially young ones. Find out more about MPRB’s park care and maintenance and its stewardship of the urban forest and park trees. Space still available for the FREE Jeff Robinson/MN Vikings football camp! Spots are still available for the free Jeff Robinson/Minnesota Vikings football camp! All municipalities in the Twin Cities are required to provide the Metropolitan Council with an updated Comprehensive Plan every ten years. Toward that end, the City of Minneapolis has been working on an update to the Minneapolis Plan for the past two years. We now have a draft Comprehensive Plan – Minneapolis 2040 – that envisions how the city will grow and change. The draft covers such topics as the built environment, job access, housing, and transportation connections. Council Member Reich will be hosting a Ward One forum to present highlights of the plan and offer another opportunity for community members to participate in the citizen engagement process, ask questions and offer input. Thursday, June 14, 5:30 – 7 p.m. The Public Works 2017 progress report presented at the May 15 Transportation & Public Works Committee meeting provided details on the City’s investment in its street network. Last year the City completed 25 miles of street resurfacing, 5 miles of concrete street rehabilitation and 5 miles of street reconstruction. 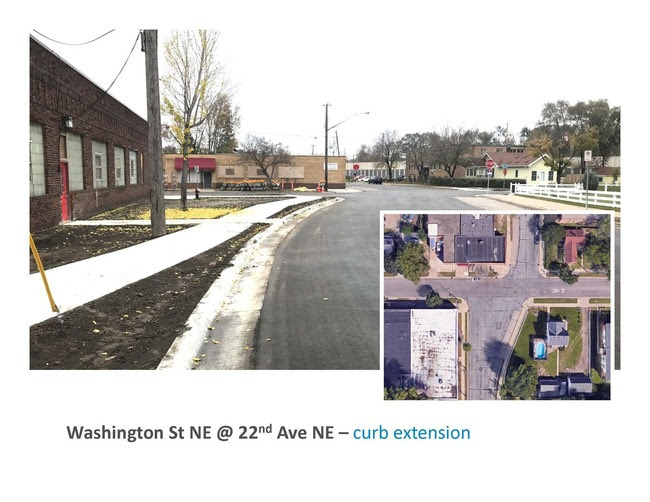 These numbers include the 18th Avenue NE project which is reconstructing the street and adding a bike/pedestrian path and enhanced ADA infrastructure, as well as the first-of-its-kind concrete rehabilitation project in the Waite Park Neighborhood. To read the full presentation, visithttp://lims.minneapolismn.gov/Download/RCA/4786/–2017%20Report%20Card_TPW.pdf. Door open at 6 p.m., forum starts at 6:30 p.m.
An after party at Rogue Buddha Gallery next door begins immediately following the conclusion of the one hour forum. Looking for a group activity for your family, organization or business? Senior Community Services’ HOME Program is looking for group volunteers to help seniors with outdoor chores. Have fun and build team spirit while helping older adults in your own community stay in their homes. For more information, contact Cat at c.beringer@seniorcommunity.org or call 952-767-7894. Register for 5K Run/Walk. Register for Kids Run. 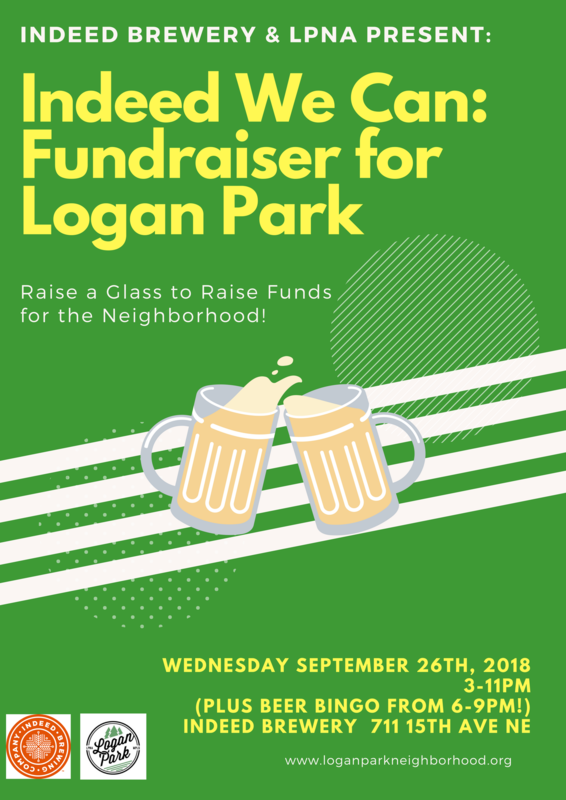 These events are not affiliated with the Minneapolis Park Board but take place in our parks. To find information about these events, visit the host organization’s website. 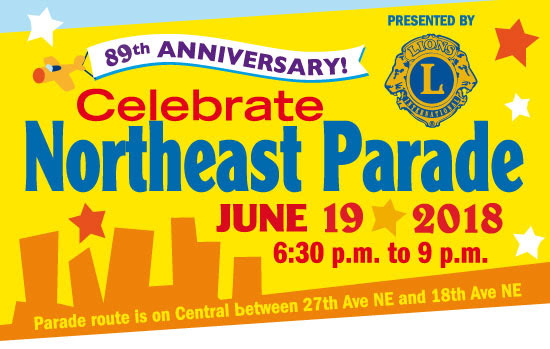 Spend a late afternoon or an early evening at the 89th Annual Celebrate Northeast Parade. 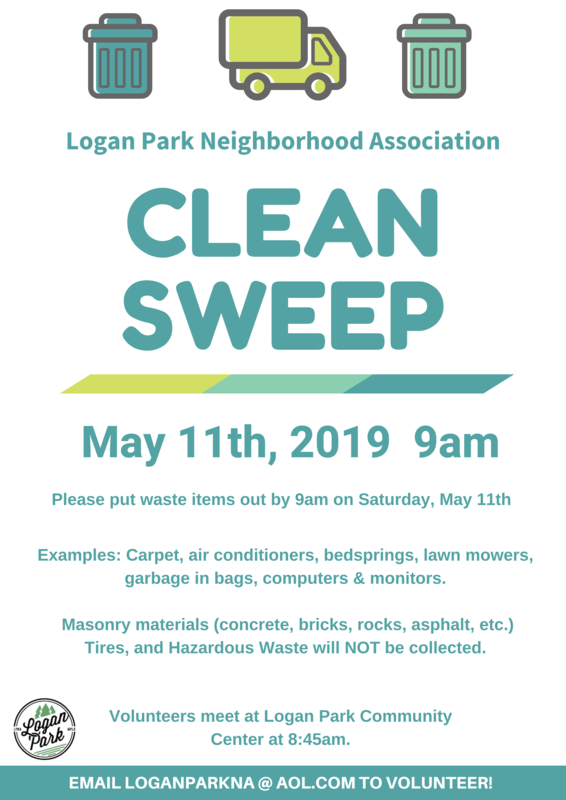 There are many volunteer opportunities and a variety of times available so gather your family, friends or co-workers and be a part of this great community tradition.